Last week I took a trip to the Sacramento Valley, where almond blossoms were beginning to come out, and the bee hives had been trucked in to fertilize them. 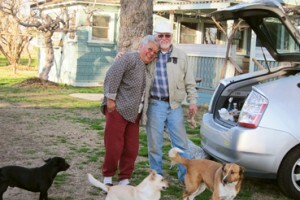 I visited the organic orchards of Glenn & Leslie Anderson, and learned a tiny bit about almond cultivation. Anderson Farms grows both “Nonpareil” and “Carmel” Almonds. I found out that Nonpareils only can be fertilized by Carmel pollen, and vice versa, yet the fruits are not hybrids, but take their genetics from the host tree (the female bit?). I am humbled by the knowledge needed to keep a farm going. Notice the grass in between the rows of trees. Glenn mows it to provide nutrient-rich compost. The “conventional” (ie. 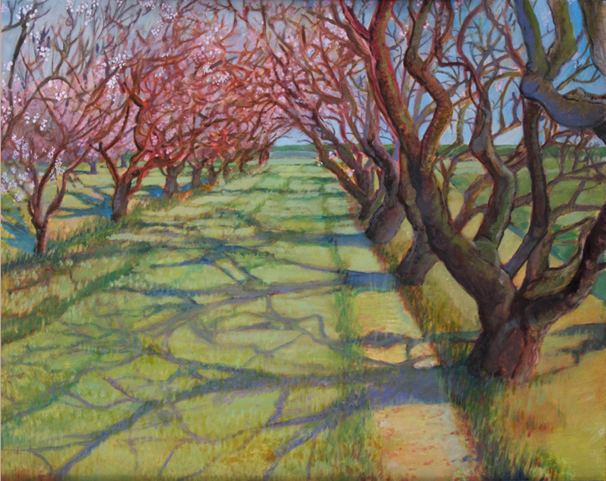 unnatural) orchards have nothing growing below, and need to provide their trees with lots of chemical fertilizer. 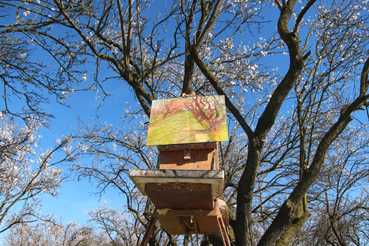 Taking a break, lying on the grass looking up at the sky; my easel there too. 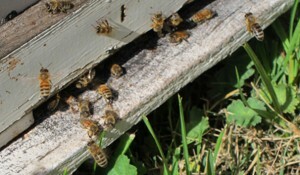 Thank you bees, for your hard work! At least this farm doesn’t have pesticides.